"The play is a great selection, with lots of roles that really challenge young actors. 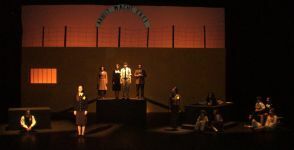 The theme is incredibly important, and both cast and audiences were moved to tears by the piece. " 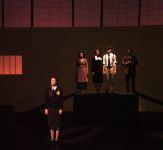 Review by Rebecca Black, Wayland Union High School, Wayland, Mich.
"The script allows great creativity in staging and set design. It is a beautiful performance piece and an important and timeless message. 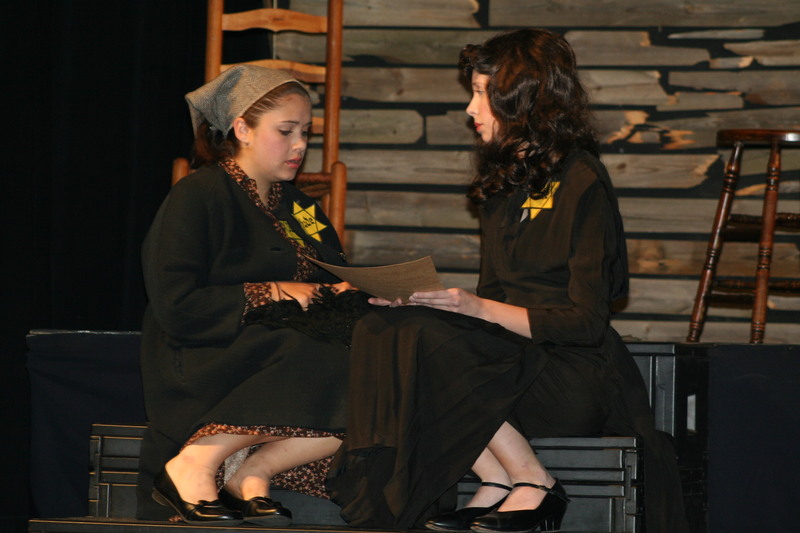 Created dialogue in language arts and social studies classes about the poetry and the events of the Holocaust." 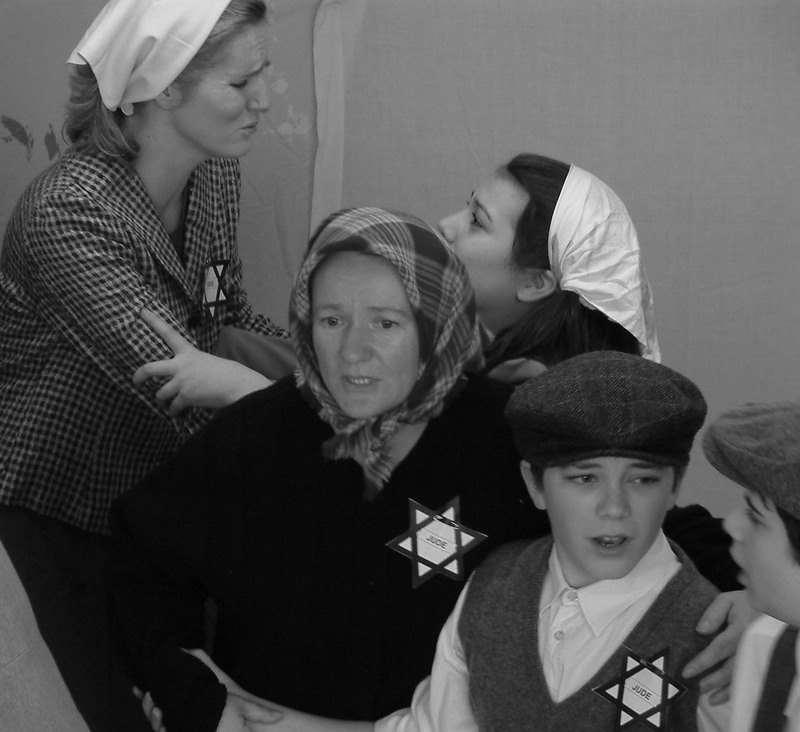 "A peaceful, emotional remembrance of the Holocaust through the writings of children. Script is strong with great directing and staging notes." "This is a very emotional and moving play. A true success if high school students can pull it off." "Great scriptÑvery dramatic moments. Provides challenging roles for my actors." Review by Joe D. King, North Central High School, Indianapolis, Ind. 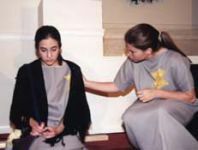 "This is an excellent production for high school students! It also works well for forensics. The staging was very flexible and allowed us to use our imaginations. 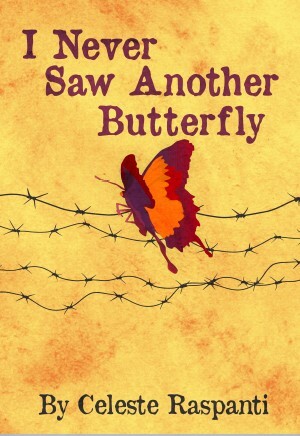 I highly recommend I Never Saw Another Butterfly." 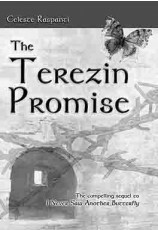 Review by Autumn Schneider, Carson City Crystal High School, Carson City, Mich.
"A touching story about the experiences of Jewish children who lived in Terezin during WWII. It is a story of tragedyÑof the importance of art, music, education and culture in peoples' lives. It is a story of hope and inspiration as children helped one another live until their lives were destroyed by the Nazis and by hate." Review by Caroline Petefish, Discovery Middle School, Alexandria, Minn.
"One of the most moving shows we've ever done. We got rave reviews from the judges at every level of festival and the actors really stretched themselves and all the students learned so much. Very powerful theatre." Review by Sandra Camphor, Ocean Springs High School, Ocean Springs, Miss. "Beautifully written play! We used it as a school-wide educational event. The history teacher got involved and it was a wonderful experience." 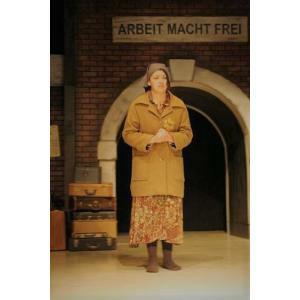 "Great show for female castingÑvery touchingÑprompted a lot of research into Holocaust, Terezin, etc. 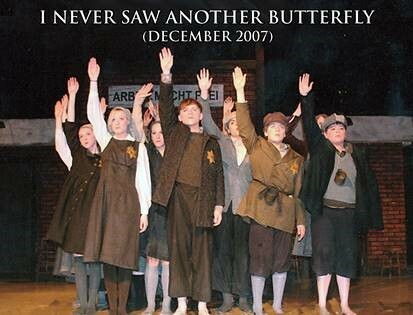 I Never Saw Another Butterfly is one of the few productions that has garnered so much positive feedback and audience members' own stories. My students were very touched by the experience." 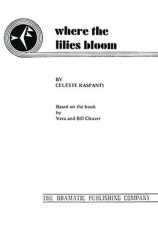 Review by Laura Woods, California High School, San Ramon, Calif.
"This story is powerful. 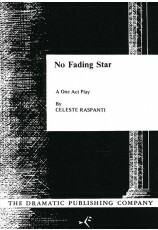 Traveling to senior centers with this play is the best thing we ever did. Many, many seniors came up after the show and said, "Let me tell you about ..." We even met one of the soldiers who actually was there to liberate these youth." "This is a very moving script with a range of production possibilities. My students gained a great interest in the Holocaust. We spent time reading and discussing other Holocaust-related books. 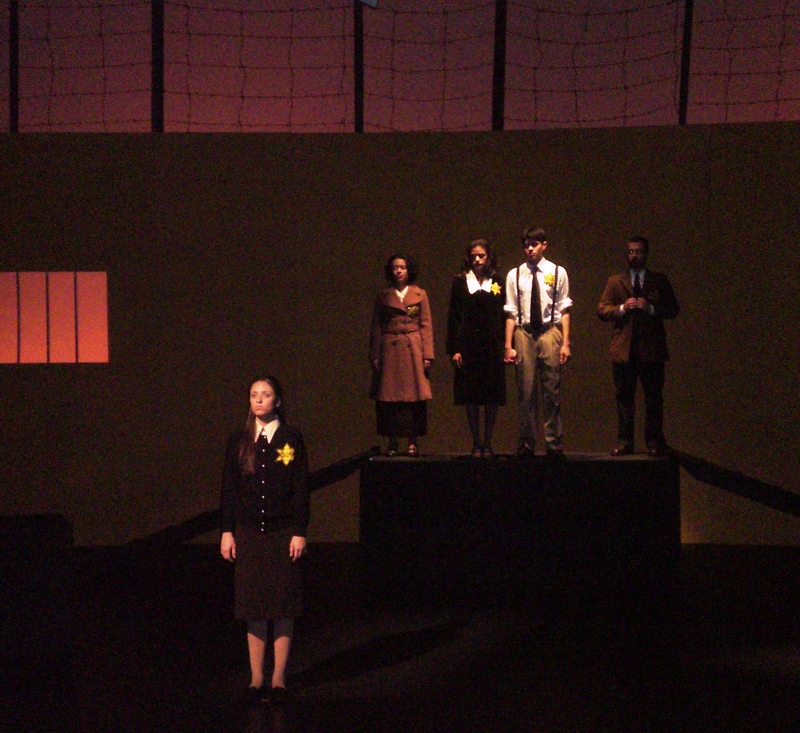 Students and audience members were truly touched by this work." "It was amazing. This will be the second time I have chosen this play; the first was approximately 12-14 years ago. It is powerful! and with the correct casting will leave a lasting impression. Our students feel awed and honored to be able to perform this historical Beauty of the human spirit!! Thank you for such a spiritual and thought-provoking play!" 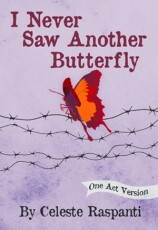 "My class thoroughly enjoyed reading, studying and performing this play. The enduring understandings of "Together we are strong" and "It takes courage to survive" were lessons well learned by my students in grade 8. All of our lives (students' and audiences') have been changed by this show." "Our cast of 64 young people really got to grips with the emotion and history of this piece." "I have directed many selections from your catalogue. 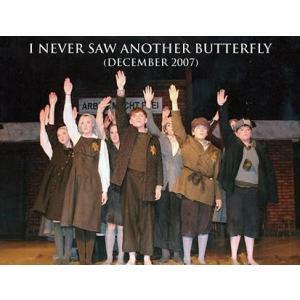 I Never Saw Another Butterfly is the true crown jewel of your collection. Raja's story is powerful, important, and needs to be told as often as possible. This was truly rewarding for the cast, audience and me." 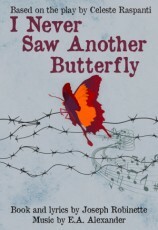 "I Never Saw Another Butterfly is a well written, well thought out emotional journey. It is a play that would be appropriate for many different age groups. 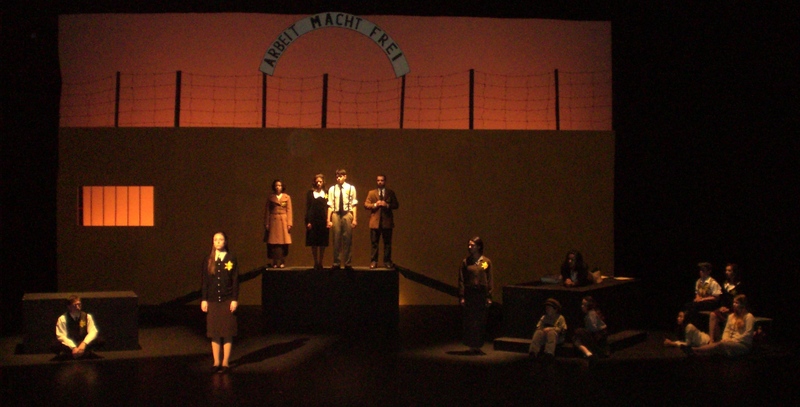 It brought our audience to tears and gave my students a new outlook on their modern existence and how lucky they are." Review by Jennifer Metzger, Clovis High School Freshman Campus, Clovis, N.M.
"We were honored to have Michael (Raja Englanderova's son), his wife and two children attend our festival performance in White Rock. Raja's grandchildren didn't know about their grandmother's past and were totally enthralled with the production. Raja wrote to her son and told him that she was very happy that her grandchildren were going to see this play." Review by Carroll Lefebvre, The Sidekick Players Club, Delta, B.C. "Simplicity is key. This story is about THE STORY, not the costumes or props. Lots of opportunity for quality lighting. " 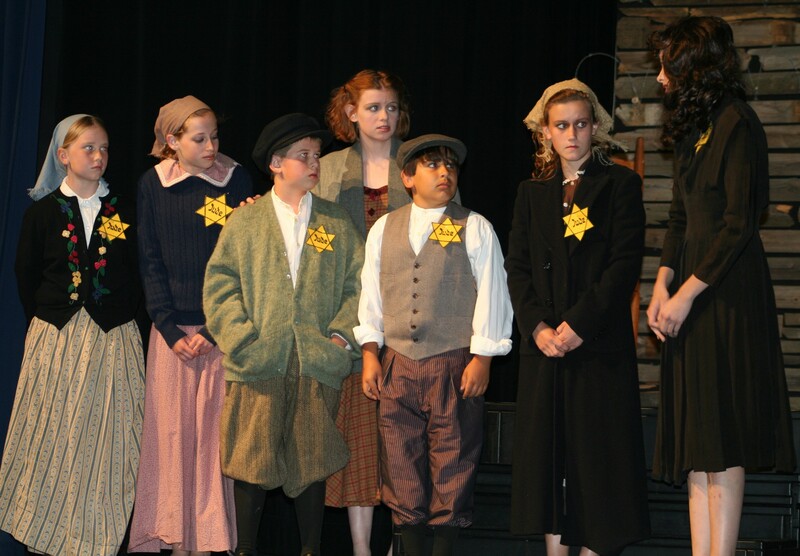 Tip by Rebecca Black, Wayland Union High School, Wayland, Mich.
"Great opportunities to add ensemble members and extra "children" from the concentration campÑthe play can have as many cast members as you want." Tip by Joe D. King, North Central High School, Indianapolis, Ind. "The use of boxes provides a very flexible staging atmosphere. The multimedia aspect was most challenging. It is difficult to locate and create pictures/slideshows, but well worth it." 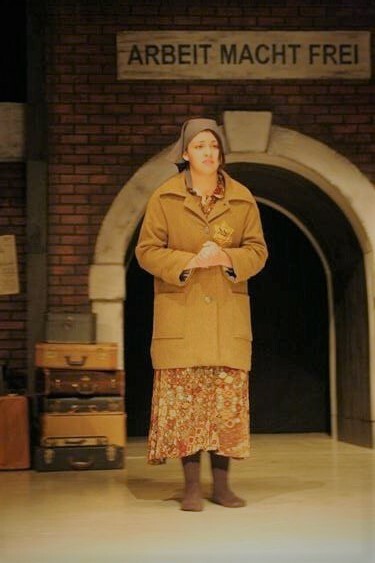 Tip by Autumn Schneider, Carson City Crystal High School, Carson City, Mich.
"Use experienced sound and light people to create an appropriate atmosphere for the actors and audience. We used young children (ages 4-8 in non-speaking roles). This really increased the impact of the atrocities that were committed in WWII." Tip by Caroline Petefish, Discovery Middle School, Alexandria, Minn.
"We used huge puppets to illustrate the butterflies." "The technical challenges are many. Several additional tech rehearsals should be scheduled." Tip by Page McCloud, Batavia High School, Batavia, Ill.